I think I may be on a curry kick. Seriously, not everything I've been cooking as of late has involved curry...just mostly everything, apparently. Curried (insert random vegetable here). You can't really go wrong with that though! 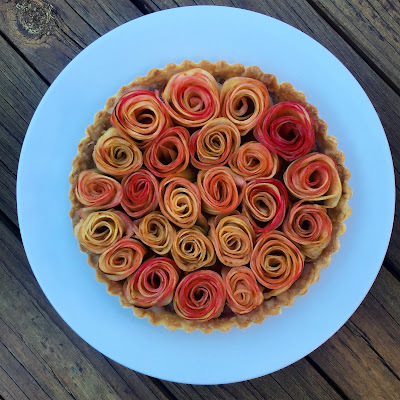 And since it is springtime - although this weather may convince people like myself OTHERWISE - I figured I'd make something that just exudes springtime, in color and taste! That doesn't really narrow down much of anything, but this week's springtime fun led me to making a chilled, curried pea soup - a beautiful bright green, refreshing concoction with just a wisp of curry flavor. Yes, a wisp. now THAT is what I'm talking about. Freshly foraged in Northern Michigan. I digress. Back to the peas! Ok, so if you can find fresh English peas (they have a season of about three milliseconds), by all means use them! If not, frozen are perfectly fine. Frankly, that is what I used today, so don't hate! On to the soup! In a large stockpot (large enough to hold the 4 cups of liquid and everything else), heat up the butter and olive oil over medium heat. When the butter foams up, toss in the onion, 1 t salt and curry powder. As you may know, I use Maharajah curry powder. Mostly because I like to say "Maharajah". But also because it's just a pure curry flavor without the spice. I love spiciness, but sometimes it's just not appropriate. Spicy pea soup? I don't know. Maybe one day! Anyway. Cook the onions until they are translucent. Add the lettuce, peas, another teaspoon and a half of salt, and sugar. Stir until everything is well combined and cook for another few minutes, or until the lettuce is wilted. Next, add the water and mint leaves, stir, and bring to a boil. Turn it down to a simmer and cook until the peas are cooked through. Now the fun part! 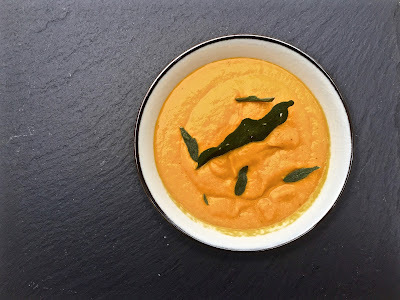 Puree the heck out of your soup, either in a food processor, stand alone blender, or with an immersion blender. If you're really getting down to business, you can pass it through a sieve so it's nice and velvety - but I like this soup a bit textured myself. Once it's pureed, mix in the lemon juice, and add some salt to taste if necessary. And that's it! The soup can be served warm or cold which makes it even more convenient! Eat some of it now, warm, throw the rest in the fridge, and eat as you please! Serve the soup with a bit of Greek yogurt, some mint, and even a pinch more curry powder if you please. I could probably eat gallons of this, seriously. It is just that good - simple, light, refreshing, and fulfilling. And the color of the soup is just plain gorgeous, and who can pass that up! When you try this soup out, you'll totally understand. Happy Springtime!